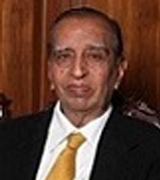 He is the Founder of Srivari Group who has scripted the success tale prominently across 5 decades since its inception. From a modest history in Hire Purchase Financing business, he made an impact in all his endeavours with valued business ethics and prompt services, caring for customers needs. The continued growth and success of Srivari Group bear testimony to his zeal to succeed. 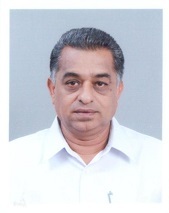 He is a commerce graduate and one of the Directors of the Srivari Group. 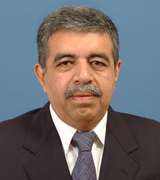 He has been instrumental in starting the Property Development business in 1989. Since then, Mr. Kishore looks after the Construction side of the Property Development business and has played a pivotal role in steering the Group’s growth and success. 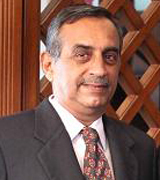 His extensive experience has helped Srivari Group in garnering a strong reputation in the market. He holds a Masters in Business Administration, joined the management team in 1985 as a Director and took in charge of Business Development & Marketing of the Property Development business. In addition, he also looks after the Financial Services business of the group and is substantially responsible for the day to day operations and successes of the Srivari Group of companies. 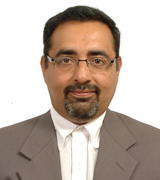 He holds a Business Administration degree from USA, joined the business in 1987 and was appointed as a Director who is in charge of Finance and Legal Side of the Property Development Business. Besides, he also looks after the decorative and commercial lighting business. With his strong will power and determination, he is actively involved in the operations of the company and pursuing various goals. He is a partner in the company. He helps in all legal and project liaisons. He has been with the company for more than a decade. With his experience in the Industry for more than three decades he steers the company in the right direction when it comes to legal and other liaison issues.